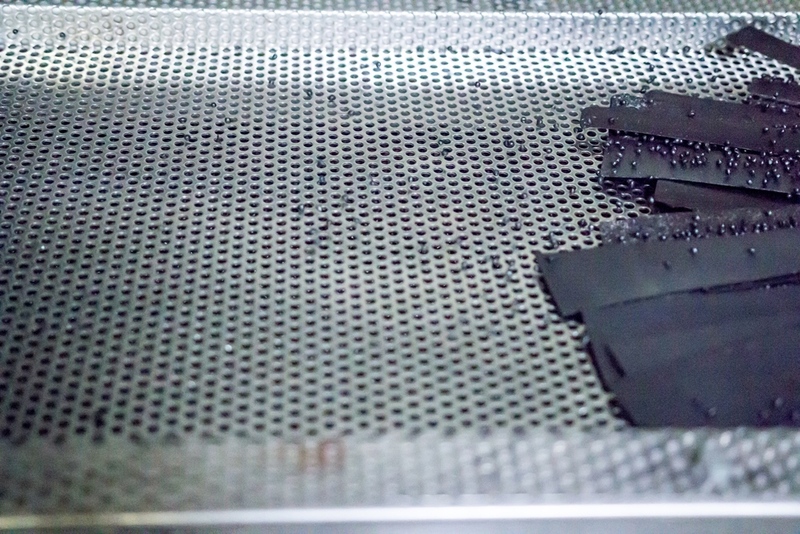 In Saxony-Anhalt, ideas for smart materials are not just copied from nature. They are usually rather inconspicuous and yet they have become indispensable for technological progress and our everyday lives: Smart Materials. 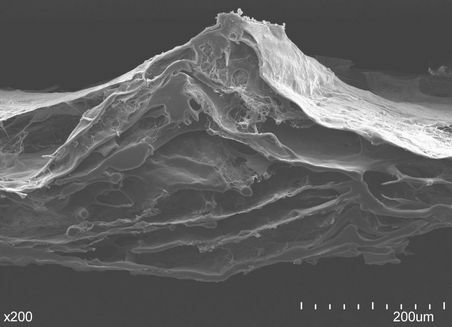 Intelligent materials that adapt actively to changed environmental conditions. It is often the wonders of nature, such as the lotus effect, the gecko phenomenon and the fin ray effect, that provide researchers and developers with a model for innovative solutions and lead to the creation of high-tech materials. 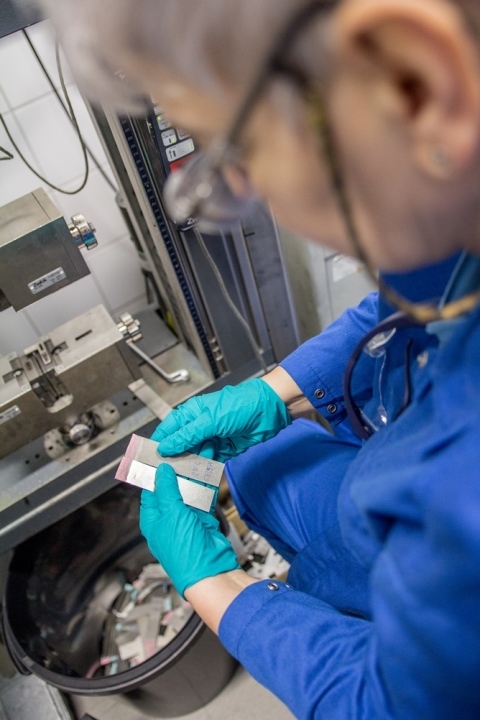 Discovering solutions for the material requirements of the future is a further incentive for experts in an extremely wide range of branches of industry and research in the federal state of Saxony-Anhalt. One can rightly claim that Saxony-Anhalt is an innovative commercial and scientific site for smart materials. Here, innovations for the global market are created with entirely different approaches. The initiative for the investigation of functional materials and related technologies, and the development of new, innovative products comes from the consortium smart³. Here, research and business unite to promote innovative strength, particularly that of East German small and medium-sized companies. Special attention is devoted to the interdisciplinary and transdisciplinary penetration of joint projects, which makes possible new views of and insights into classic problems. One of the initiators is the Burg Giebichenstein University of Art and Design Halle. 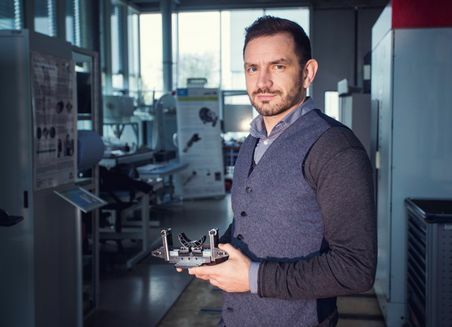 “Material scientists from Saxony-Anhalt and beyond are developing innovative materials with fascinating characteristics”, says Project Manager Professor Frithjof Meinel. 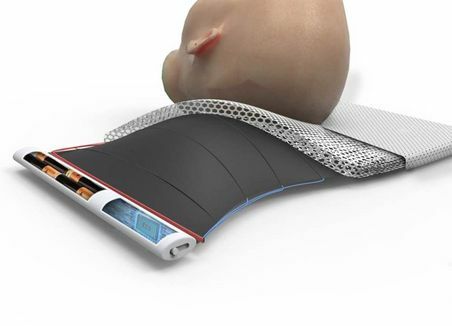 “In our network smart³ we want to put these special achievements into practice with technologists, designers, producing companies and research institutes.” For example, Cumulino was developed, an active positioning pillow for infants, for the prevention and curing of cranial asymmetries. The cushion has already been presented as a prototype. A slow, continual changing of shape ensures even lateral movement of the skull during sleep and prevents one-sided strain. Cumulino is now being further developed in a follow-up project. Other fields being worked on by the smart³ partners include production systems and processes, medical aids and instruments, lifestyle products, intelligent building technology and the use of smart materials in mobility. A greater understanding of the potentials and abilities of new smart materials is also to be conveyed by Materials Data Space®, which has been initiated by the Fraunhofer Institute for Microstructure of Materials and Systems IMWS in Halle (Saale). “We are creating a digital platform to provide technicians and engineers with the necessary material data for special requirements”, explains Professor Ralf B. Wehrspohn, Director of the Fraunhofer IMWS. To achieve this, digital data on materials is being collected from different companies. The database is also referred to as the “memory” of the materials, because it records states throughout the whole life cycle. Signs of wear and fatigue, information on process optimisation, and advice on material properties for later recycling are stored in a comprehensive database. This creates a digital portrayal of the materials, which can be incorporated in virtual simulations. Developers and engineers are thus better able to understand and use the materials’ variable properties. The concept Materials Data Space is being developed by the Fraunhofer network MATERIALS, an association of 15 material-science-oriented institutes of the Fraunhofer Society. 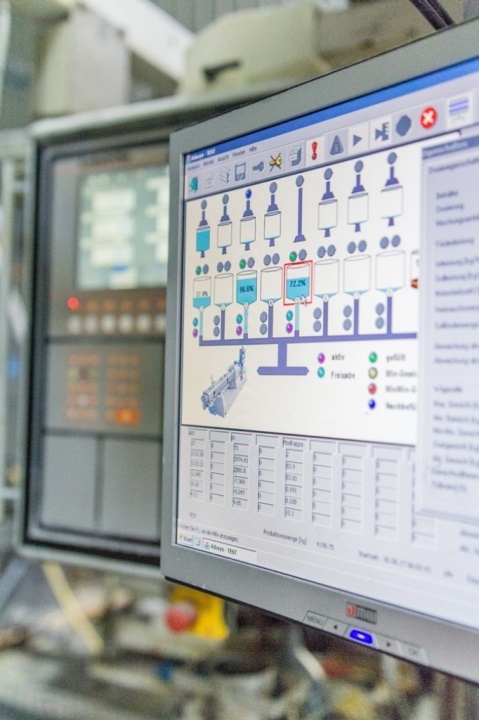 It is an important precondition for exploiting the full potentials of Industry 4.0: Through the close networking of people, machines and production processes through virtual presentations of the current state and self-learning systems, it is intended to create largely self-optimised production. The data on materials makes it possible to optimise processes throughout the value chain in an even more targeted way. Not least of all, the development of new materials can thus be decisively accelerated. As well as materials science, it is above all the demands of forward-looking technologies that necessitate new solutions. For example, in both medicine and pollution control, the requirements for the purifying of air, gases and liquids from even the smallest particles, viruses or flecks of soot are becoming more stringent. This a challenge for filter manufacturers all over the world. 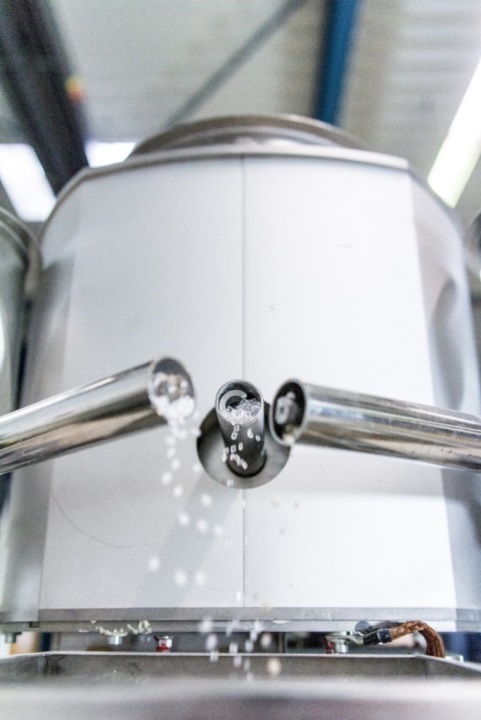 Whether it be sensors or diagnostics: the filtering of the finest nano-particles is precision work at the highest level. The scientists Monika Lelonek and Dr. Petra Göring are spurred on by this trend and have developed a unique electrochemical etching process in many years of research. With this they can manufacture extremely fine membranes made of aluminium oxide or silicon with pore sizes in the range from 20 nanometres to 100 micrometres. The material can be so precisely influenced by the material that membrane properties and structural parameters such as pore site, grating constant, porosity and membrane thickness can be individually chosen at the customer’s request. 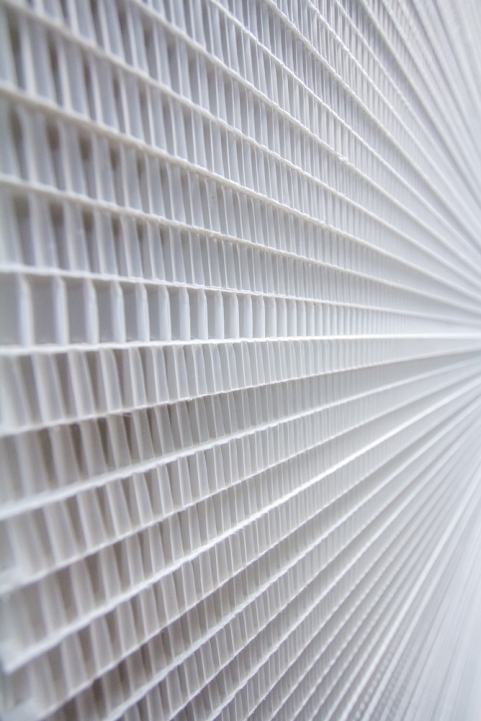 The high orderliness and uniformity of the pores are the unique selling points of the company SmartMembranes GmbH which they have founded. The deviation of the diameter is no more than 10 %. The membranes are being put to use around the world in, among other fields, gas sensors, cell cultivation, medical technology and fuel cells. “Together with customers we develop innovative solutions for future applications, for example using special surface functionalisations”, says Monika Lelonek. 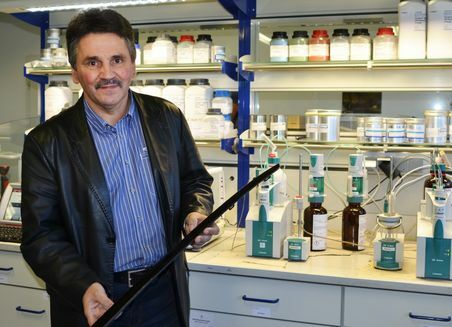 “Here in the middle of Germany, surrounded by a high level of research and commercial expertise, we have the best conditions for this and can further extend our position as world market leader.” Nanotechnology is an important part of the leading market of Chemistry and Bioeconomy in Saxony-Anhalt. 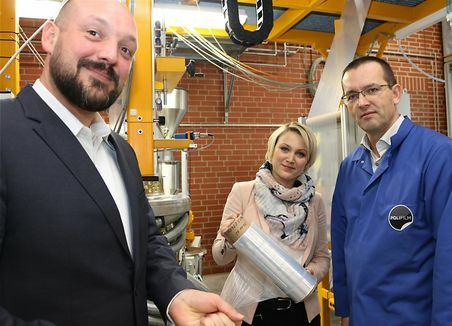 “We also owe our success to our innovations”, says Bastian Runkel, Managing Director of POLIFILM EXTRUSION GmbH in Weißandt-Gölzau, emphasising the significance of research and development for business success. In the factory in the south of Saxony-Anhalt around 900 employees produce intelligent films for different industries. 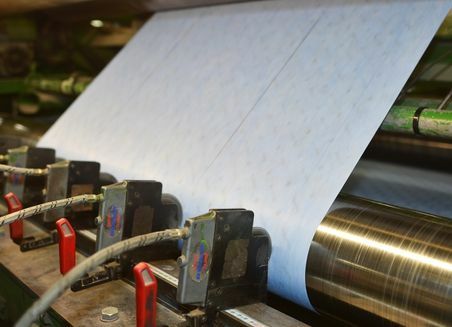 Technical films, packaging films, stretch films and many more. The company regards itself as a solution provider in this. 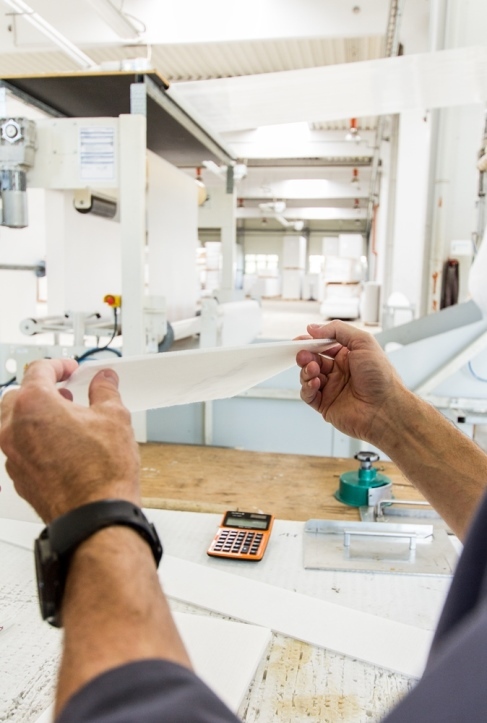 New customer requirements regarding the material properties of plastic films demand smart solutions, which are created in the company’s own research department. These include requirements from the packaging industry, logistics, agriculture and the construction industry. 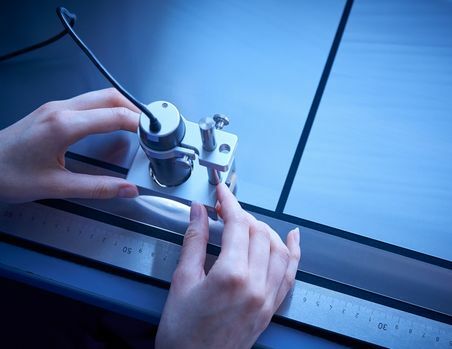 In addition, the company is active in, among other things, the research alliance KoMiNaKu – “Combined Micro- and Nanostructuring of Plastics", in which, for example, new properties are developed by changing the surface structure. “Proximity to the research institutions and colleges in Saxony-Anhalt is a clear site advantage for our work”, says Runkel. The Weißandt-Gölzau site of the group of companies, which has a workforce of 1,600 employees and sites around the world, only recently received the “Big Award of Medium-Sized Companies” for growth, innovation and social commitment. 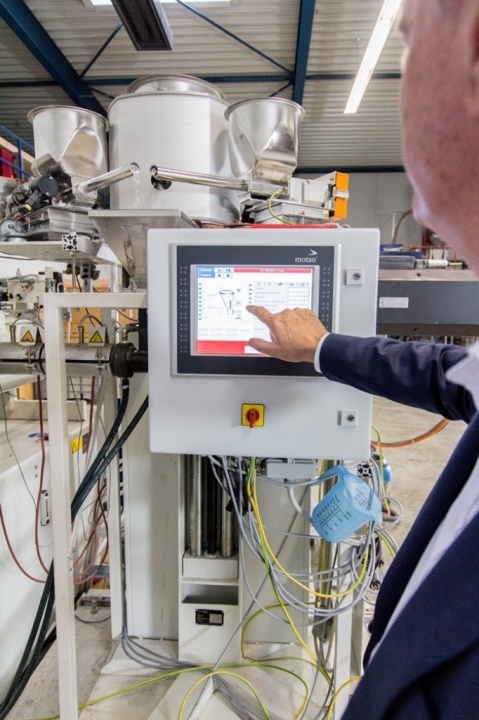 POLIFILM EXTRUSION GmbH is one of the more than 220 chemical and plastics companies in Saxony-Anhalt, which are regarded as a centre of innovation in the heart of Europe. Materials that think smart are supposed to give commands within the production process. DOW, ThermHex and Exipnos - three companies from Saxony-Anhalt - tell us what this might look like. 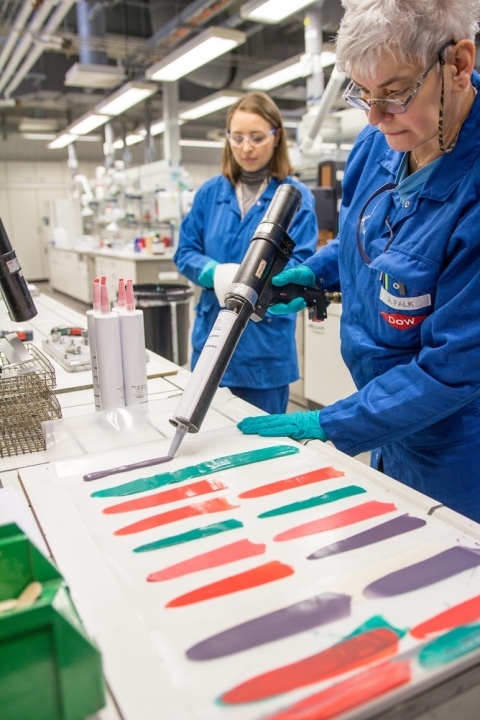 At the modern chemical site ValuePark® in Schkopau, the company Dow Olefinverbund GmbH manufactures innovative adhesives which are used in the products found in everyday life. These are e.g. for the bonding of windows in the automotive industry or as a smart structural adhesive for the fitting of components in motor vehicles. Intelligent high-performance materials arise, the application attributes of which guarantee safety, comfort, energy efficiency and the minimisation of CO2 for the end customer. In the advanced products of Dow, the different criteria regarding very considerable strength and high-performance elasticity are combined on a unique basis. 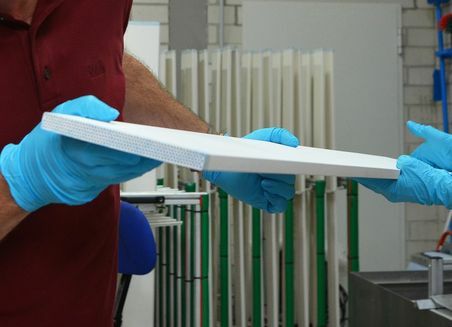 “Our product offers the possibility of bonding the materials in the car and therefore of applying these new, more intelligent and lighter materials in the car,” says production director Karsten Liebmann, describing the product’s energy-saving impact and its simultaneous long-term contribution to environmental production. 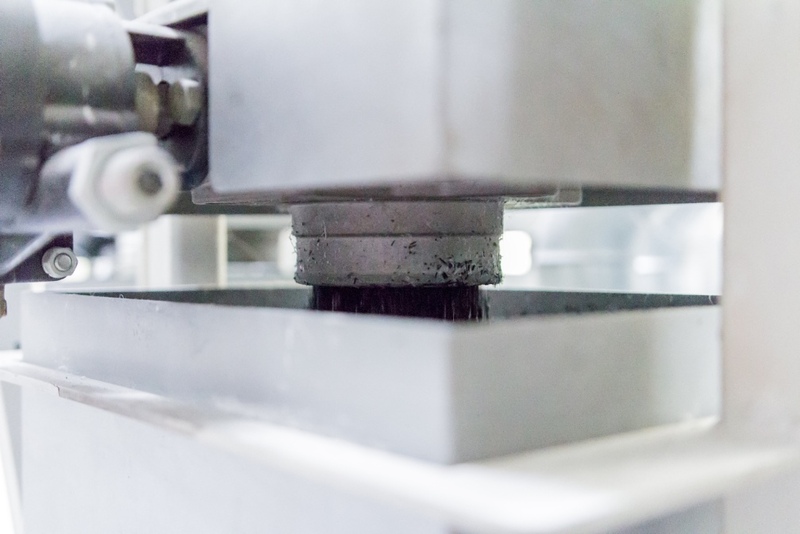 At Exipnos GmbH from Merseburg in the south of Saxony-Anhalt, the development of intelligent materials has acquired a trendsetting character with the revolutionary direct compounding technology DCIM. In cooperation with the Fraunhofer Institute for Microstructure of Materials and Systems (IMWS) in Halle, the development platform “DigiLab” has been created here for functionalised thermoplastics, which involves an extensive digitalisation and automation of the production processes. With “Industry 4.0”, work steps which were so far necessary can now be skipped in a smart and efficient manner. The research and development of materials as well as the actual process of material composition occur directly during the final processing. “The future of smart materials will be a continuously developing process. 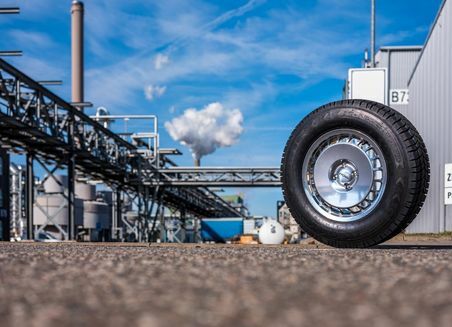 More intelligent solutions will always be reached,” thus Managing Director Peter Putsch describes the link with the differing stages of the value added chain. 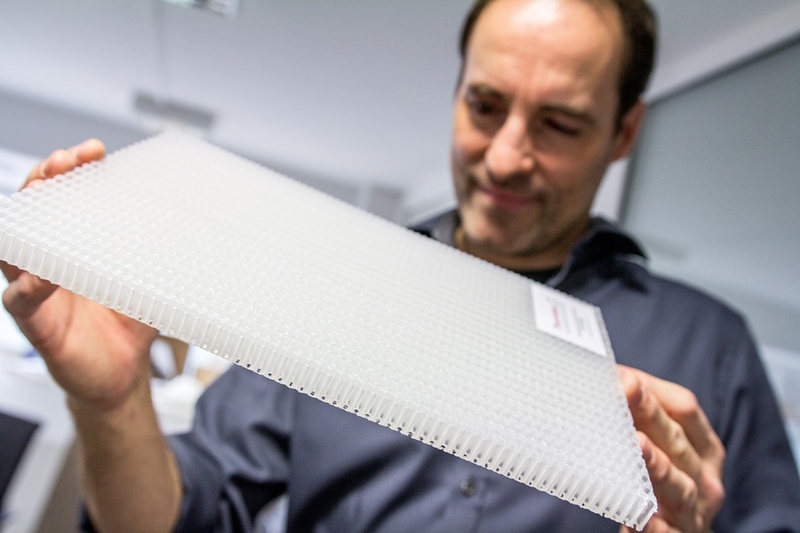 The patented EconCore production process of ThermHex Waben GmbH from Halle (Saale) forms the basis of a completely new and innovative generation of lightweight construction materials. 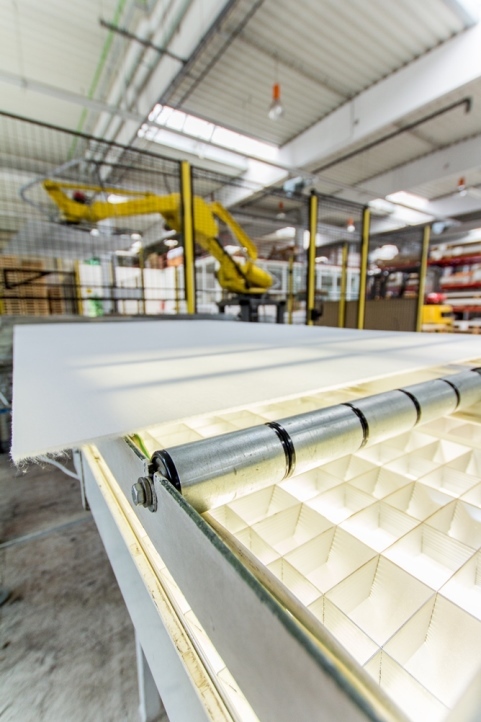 In an entirely automated production line, sandwich honeycomb cores made here can be manufactured continuously and therefore cost-efficiently thanks to their intelligent structure. 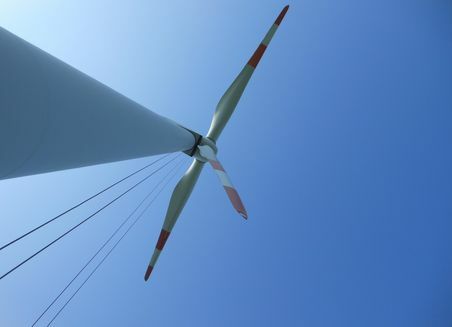 By using an extruded film web made of polypropylene (PP), constant mechanical features are protected in the finished component, raw material resources are preserved as a result of low material usage, and a reduction of CO2 pollution is achieved. Thanks to their flexible finishing, resistance and resilience, ThermHex honeycomb cores are already used in automotive and ship construction, interior construction and in wind and solar plants. Intelligent non-woven fabrics for the food industry, the construction sector, for cosmetics, and as emergency helpers to prevent damage to the environment. 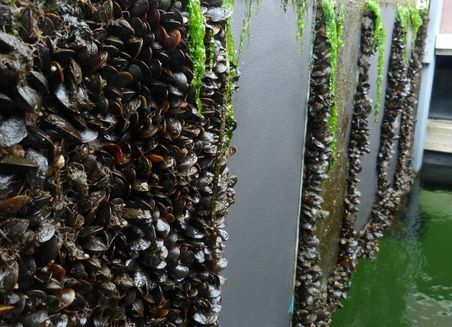 The company SpinPlant GmbH from Saxony-Anhalt makes a new type of biological scaffold in an electro-spinning process. 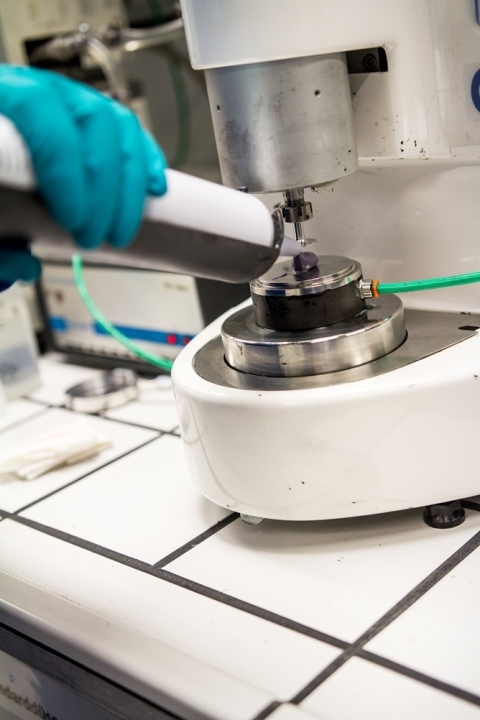 Research partners in Central Germany combine their talents to develop new and intelligent materials. 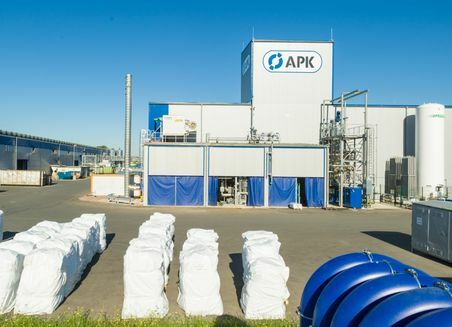 The new recycling process facilitates the separation of polyethylene and polyamide during film recycling and now also enables their further processing for new packaging. The national high performance centre for “Chemical and Biosystems Technology” has established itself as a driver of innovation. 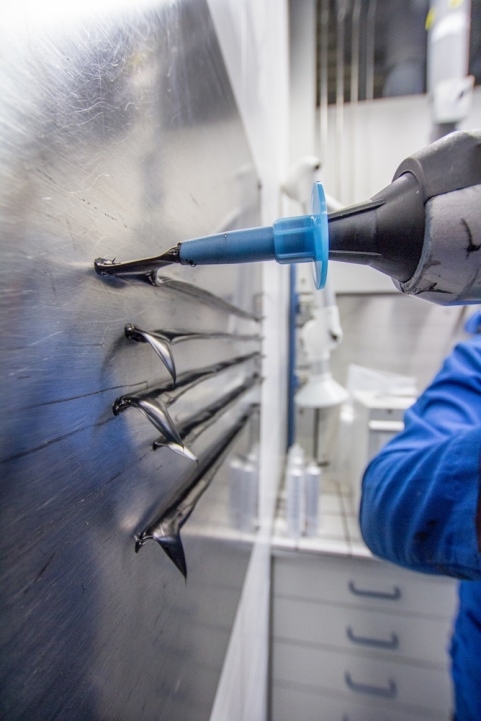 The process is revolutionising the manufacturing of high gloss finish components. It combines injection moulding and reaction technology, and enables a fully automatic single-stage production cycle. Biology meets technology: Scientists in Magdeburg use the Fin Ray effect for surface processing. 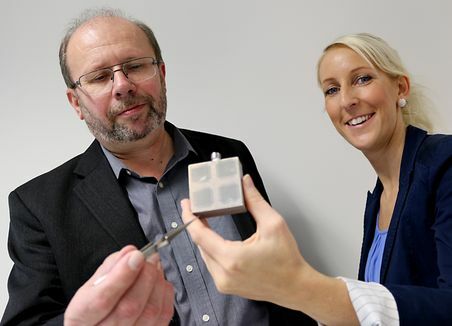 Scientists at the Fraunhofer IMWS developed a process to create micro- and nano-structured surfaces on plastics via an embossing process. The company POLIFILM EXTRUSION in Saxony-Anhalt is the biggest manufacturing location for extrusion film in Europe. The year 2013 saw more than 30 initial partners joining the innovation network smart³. They all share the knowledge that ca. 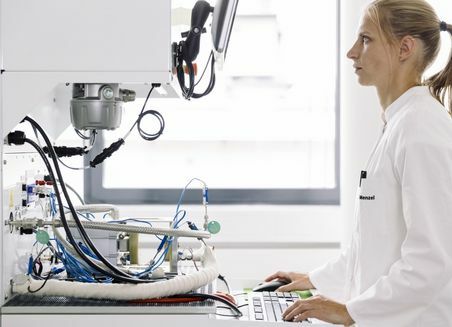 70% of all technical innovations in Germany are based on new materials. Become part of our smart business location! Saxony-Anhalt is a chemical and plastics location by tradition. For many years, the local companies have been concentrating on the development of smart materials - adaptive materials that are "intelligent" or "smart" through additional functions. 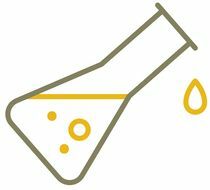 From basic chemistry to the processing industry, the entire value chain is already covered within the state. Existing Cluster and network structures, effective research infrastructures enable effective implementation from theory into practice.